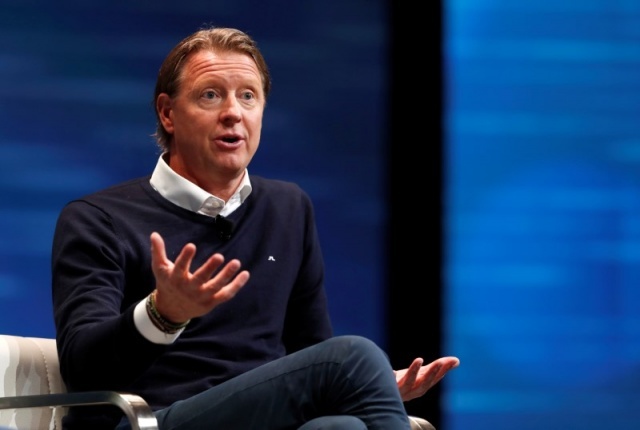 Vestberg, 52, joined Verizon a year ago after being fired as chief executive at communications equipment maker Ericsson in 2016, following years of dismal growth and weak earnings. At Verizon he headed a team building out Verizon’s fiber network infrastructure, and he will lead Verizon in a strategy that differs markedly from wireless rival AT&T Inc which is battling with the U.S. Justice Department to acquire media company Time Warner Inc in an $85 billion deal. Current Verizon CEO, Lowell McAdam, said in an interview it was the perfect time to hand the reins to Vestberg, with Verizon at an “inflection point” holding all the pieces it needs for 5G, such as fiber and spectrum. Some analysts had expected John Stratton, Verizon’s president of global operations, to succeed McAdam. Instead Stratton will retire. Vestberg said in an interview Verizon would keep pursuing its current 5G strategy but he did not “see anything new on the horizon” to pursue media content. Under McAdam, Verizon expanded into content when it bought media sites AOL and Yahoo, creating a media division called Oath last year, which also owns sites like Tumblr and HuffPost. He spent some 28 billion crowns buying companies to boost Ericsson’s position in other fields than its mainstay mobile network gear equipment, such as media assets. That left Ericsson with costs that were too high and put it into a slump as rising competition hit the network gear market. Lars Soderfjell, a portfolio manager at Finnish bank Alandsbanken, which owns Ericsson shares, said Vestberg pushed to expand the company’s services unit, which included managing networks for mobile operators. He said that could make Vestberg a good fit for Verizon as it focuses on building its 5G network. Nomura analysts described the common understanding of Vestberg’s Ericsson tenure as “stock flat, fired” but wrote in an note that he had served during a period of intense competition in an industry that then consolidated. Nomura expected other executives to leave Verizon after the appointment. Until he retires at year end, McAdam will serve as executive chairman, then become non-executive chairman, the company said in a statement. Verizon has gained about 40 percent of its $202.5 billion market value since McAdam took charge of the company on Aug. 1, 2011. By early afternoon, Verizon shares rose 0.3 percent to $49.18 each, on a day that other tech shares fell on reports Apple expects to cut iPhone production this year.